Not all Paris churches are made of beautiful stones with golden fixtures and stunning sculptures! 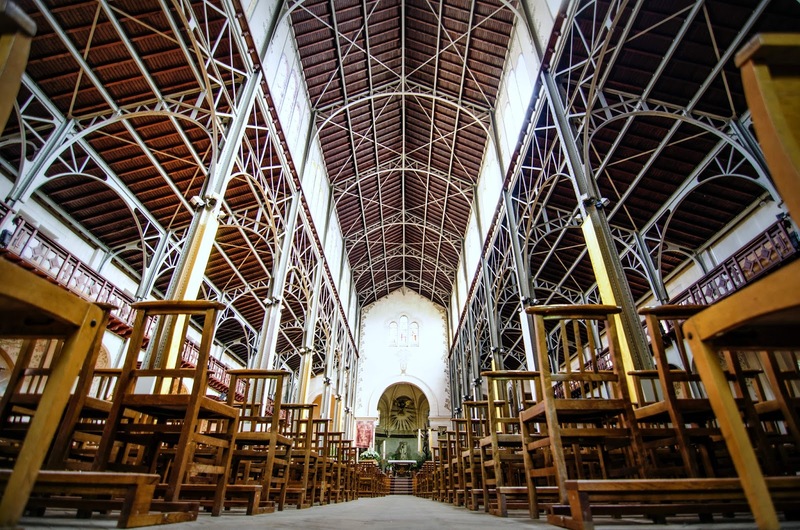 Some are simple, yet worth the visit, like Notre Dame du Travail. This amazing church can be found in the 14th arrondissement at 59, rue Vercingétorix. It was constructed around 1900 for the workers who used to build the pavilions for the world exhibition that took place in Paris during this period. It is fascinating indeed, because it looks like a regular Roman church, except that its frame is made of cast iron. I'll second that. It's worth the trip off the beaten path. It's well worth a visit and I also liked that the neighbourhood is non-touristy. Reminds me of les Halles (d'antan). Definitely not a church like most others! I found your blog about a year and a half ago after a trip to Paris, and I read it nearly every day. I was an au pair in Paris in the late '80s, et cela me donne la nostalgie.